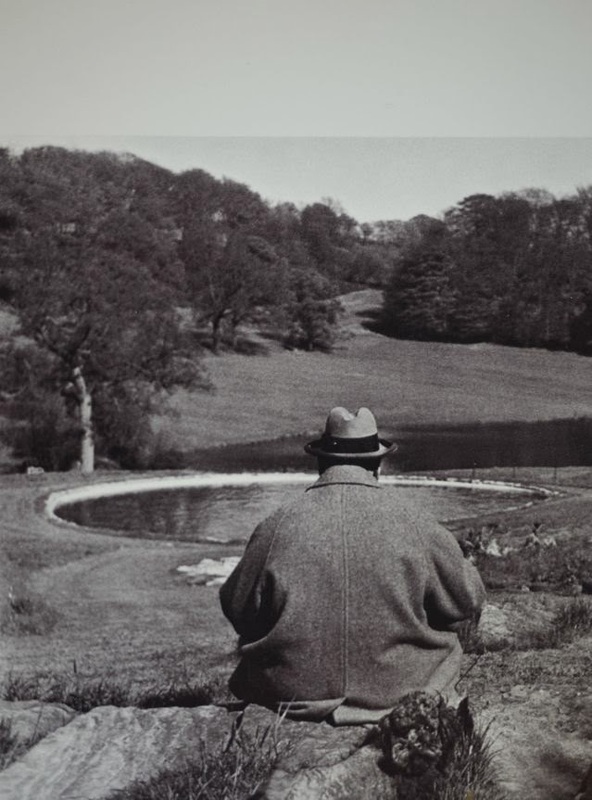 Sir Winston Leonard Spencer-Churchill, KG, OM, CH, TD, DL, FRS, RA (30 November 1874 – 24 January 1965) was perhaps the most successful man of the 20th Century. Sure, others made more money, had bigger families, invented this or that, or did whatever else you may think constitutes success. 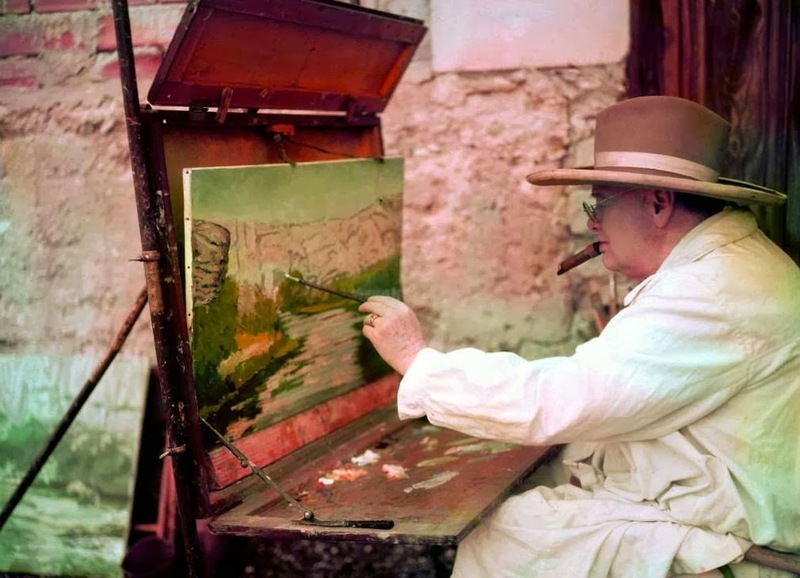 Official portrait of Winston Churchill. Churchill, however, did more with less. He bounced back from adversity more often, and to greater effect than anyone else during the 20th Century. 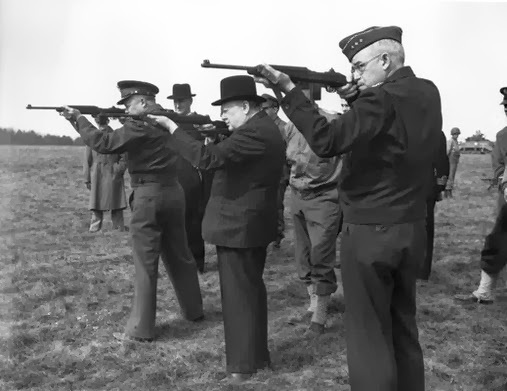 Just for starters, Churchill was the first person to be made an honorary citizen of the United States. Churchill also won the Nobel Prize in Literature. And he's legendary despite the fact nobody really remembers or cares about either of those two facts. 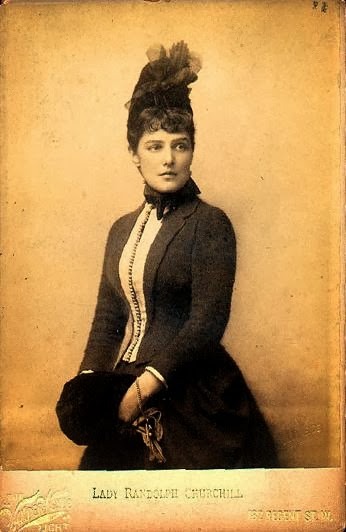 Jennie Jerome, Winston's American mother, when Winston was a lad. Like so many other leaders who had huge impacts on their country, Churchill wasn't completely "of" England. His mother, Jennie Churchill, was a socialite from Brooklyn, back in the days when Brooklyn was a separate city and an address there was considered classy. There was some controversy about Winston's birthdate, which was only eight months after the wedding, but Winston would only comment, "Although present on the occasion, I have no clear recollection of the events leading up to it." 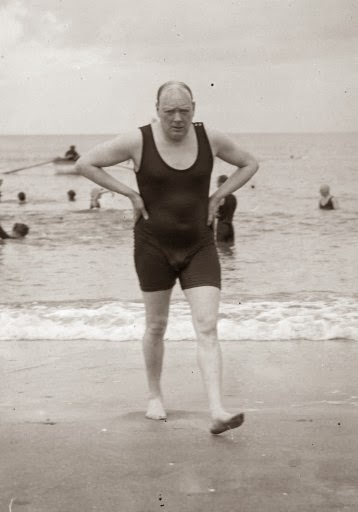 Churchill at the beach in the swimsuit of the time. 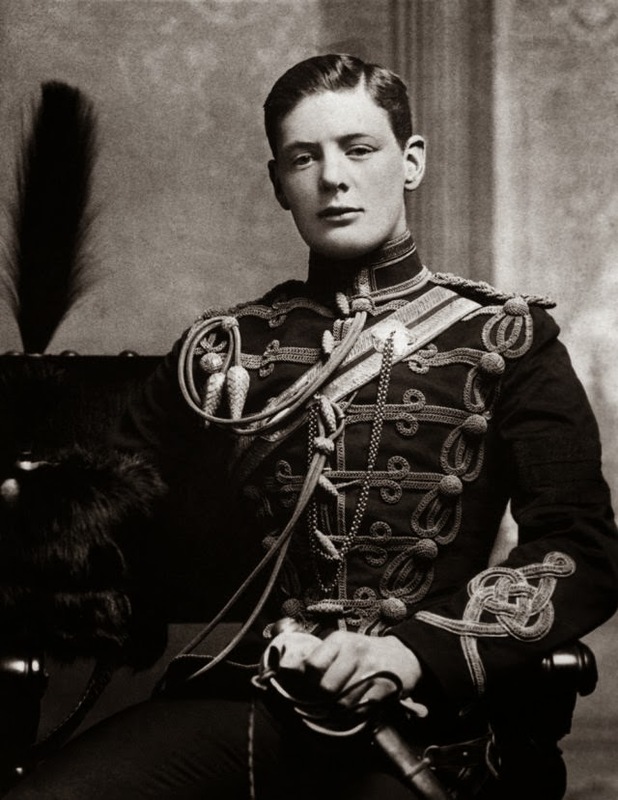 Winston did the usual thing for ambitious and able young men at the height of the Empire, serving overseas with distinction after going through Sandhurst. He was noticeable for actively maneuvering to go where the fighting was thickest, thereby advancing himself. 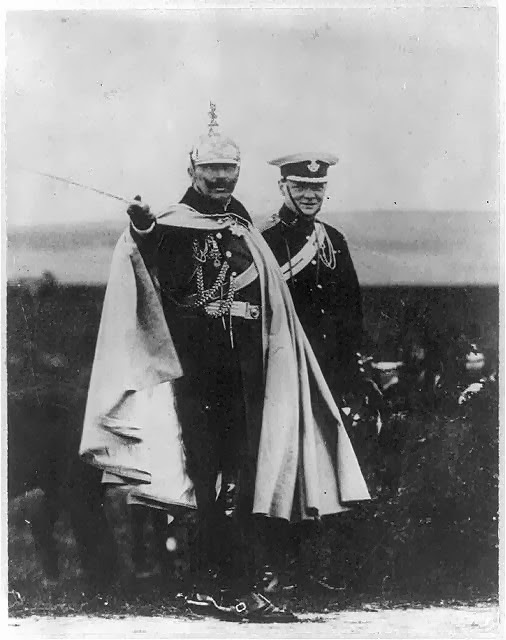 With Kaiser Wilhelm II, on maneuvers in 1909. Hungry for money, he became a war correspondent, visiting the States and Cuba among other places. Churchill also tried to learn to fly twice, first in 1913-1914 and then in 1919. One of his early instructors (Captain Gilbert Wildman-Lushington RMA) crashed. His second attempt ended with a crash of his own at Croydon 18 July 1919, with Group Captain Alan John Lance Scott as the instructor. 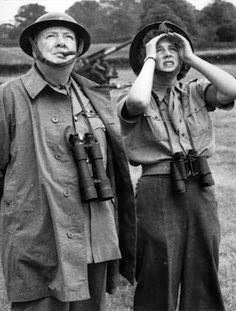 Winston and daughter Mary watching measures to combat flying bombs in the south of England June 1944, shortly after D-Day. Winston sustained minor injuries, and his wife and others in government grew concerned and asked him to stop. Though he claimed it was useful to learn to fly to better understand the challenges facing the Royal Naval Air Service (founded during his tenure as First Sea Lord), he eventually did give up. 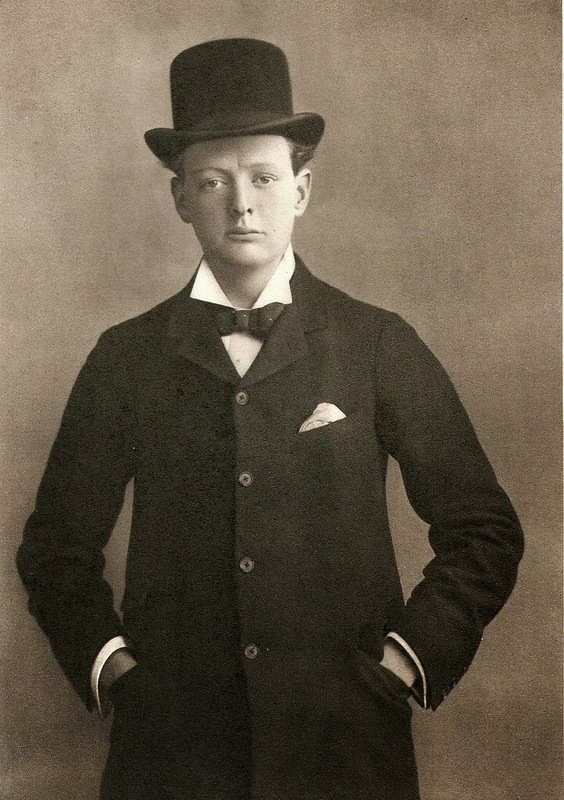 Churchill as a war correspondent in 1899. Winston retained his love of flying his entire life, and reportedly would take the controls of his Dakota aircraft during World War II, and somewhat mysteriously he seems to have worn some air wings (on an Air Commodore's uniform) signifying his status as a pilot during that time. Winston was a man on the move, and hungry to advance himself and take risks. 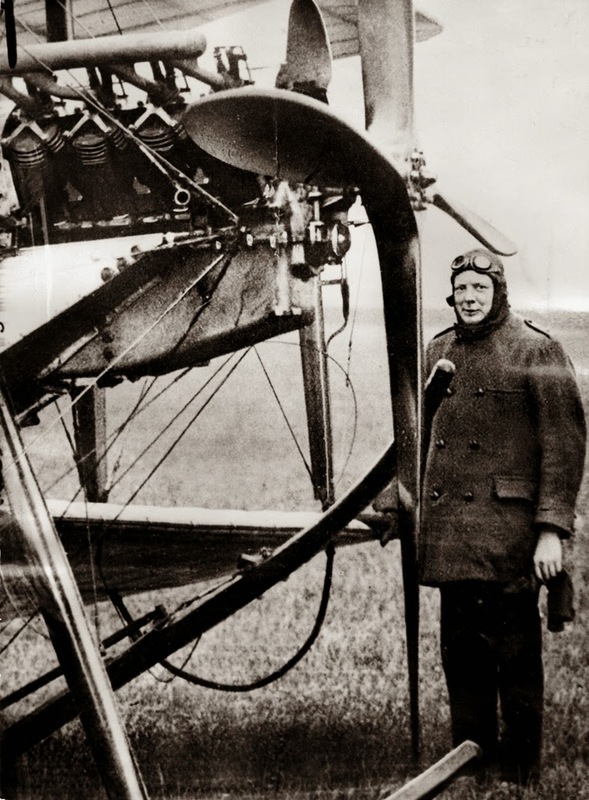 "Churchill with his flying machine at the Central Flying School at Upavon on Salisbury Plain, May 1914." With a full resume and family connections galore, he won a seat in Parliament as a Conservative and was appointed First Lord of the Admiralty in 1911, just in time for World War I. He instigated the disastrous Gallipoli campaign and had to resign in 1915, but he quickly bounced back. He served in command positions on the Western Front, again building up his resume at serious risk to his own life. 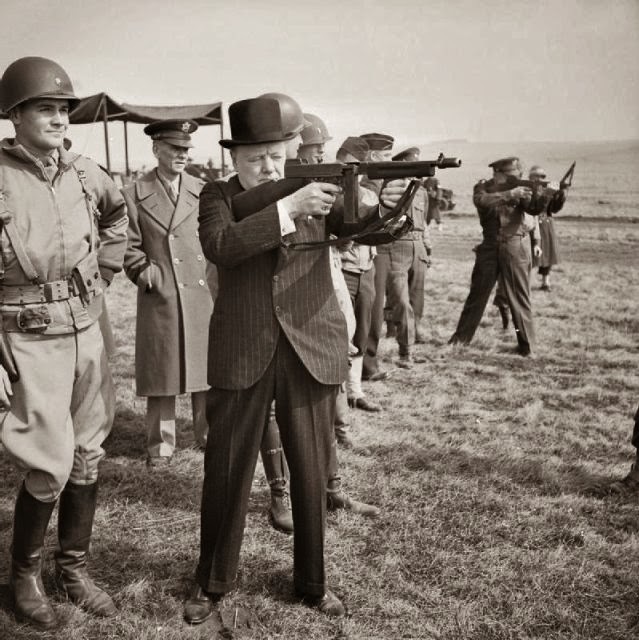 Churchill holding a M128 Thompson, 1940. Things started coming to a head with Germany in the late 1930s. 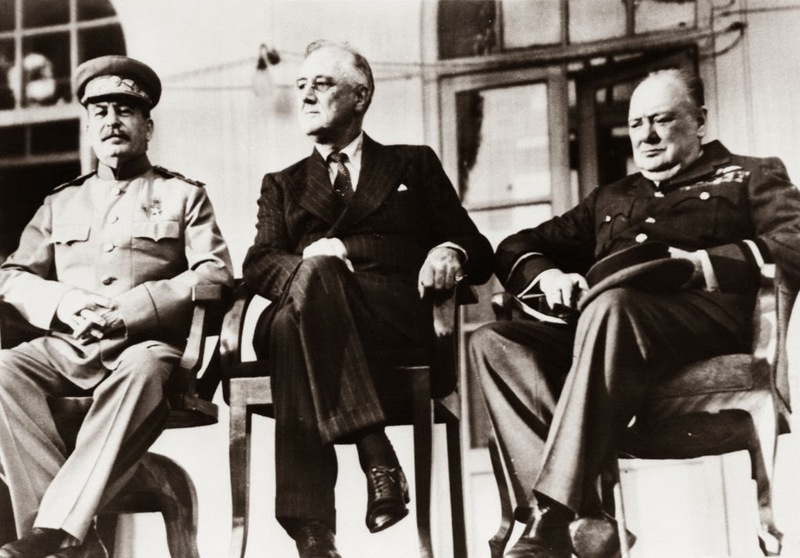 Always able to coin a memorable phrase, Churchill dismissed the Munich Agreement made by a naive Prime Minister with Adolf Hitler with the succinct line, "You were given the choice between war and dishonor. You chose dishonor, and you will have war." War soon followed as Winston knew it would. The British government was in trouble, and it suddenly became quite handy to be known as the most strident critic of its failed policies towards Germany. 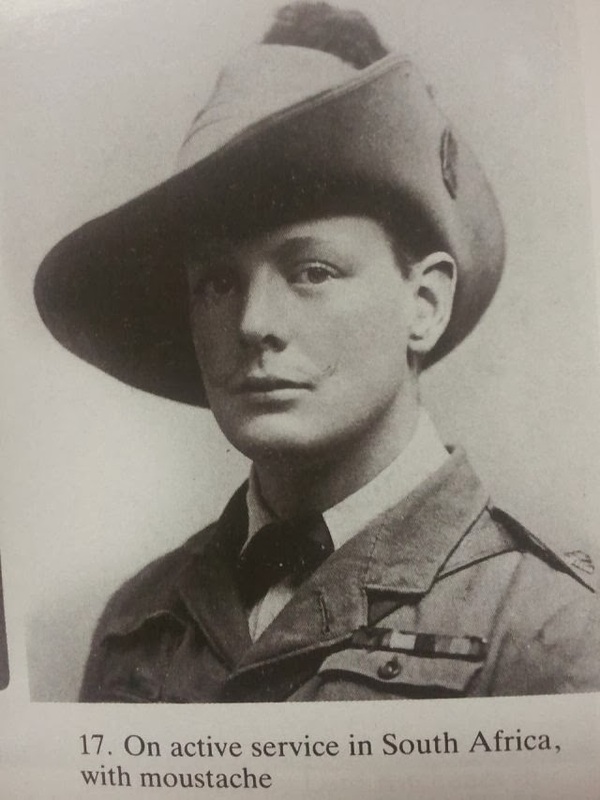 Another picture of Churchill as a subaltern, 1895. 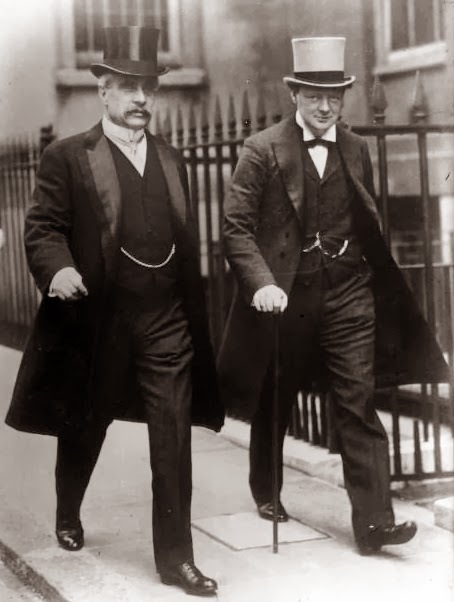 The choice for a new Prime Minister came down to Churchill or Lord Halifax. 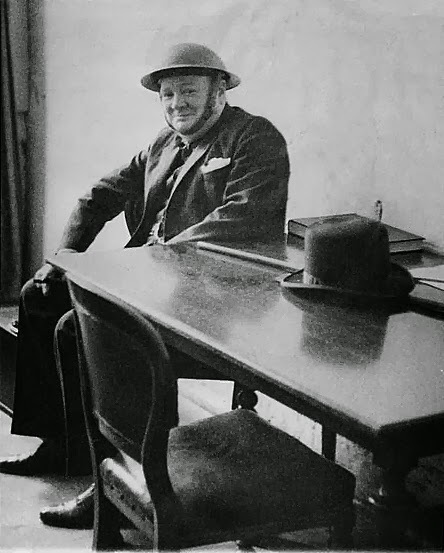 Since Halifax was a member of the House of Lords, the feeling was that it would be better not to have a Lord in charge of the war effort - though Churchill was at least as much a member of the aristocracy as anyone else. 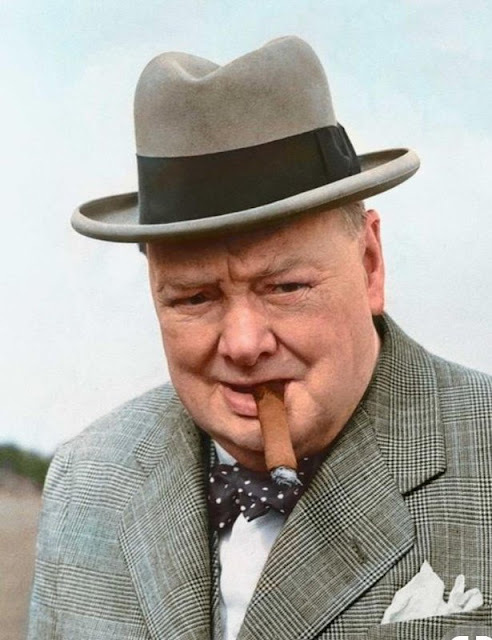 Churchill being an elected member of the House of Commons made all the difference. Halifax (supposedly) turned down the job, and Winston was in. It was a good thing, too, because Halifax later became in interested in a settlement with Hitler, which Churchill successfully opposed. Winston in 1899, complete with mustache. 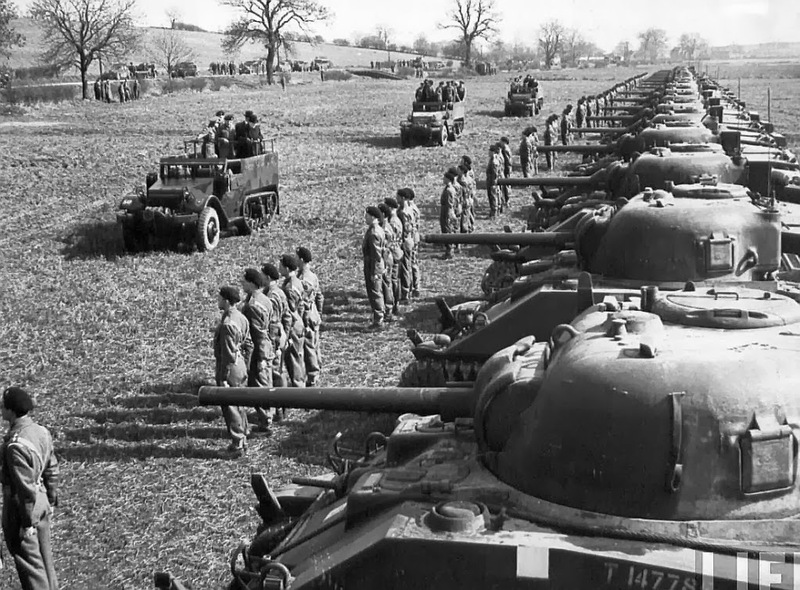 Churchill rallied the country against the German Blitz, and many of his lines became clichés. 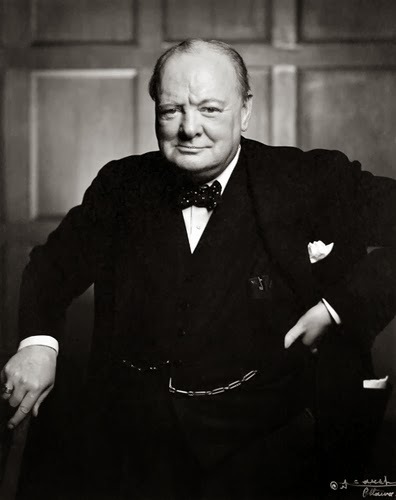 Some of his best lines ("This was their finest hour") have become so associated with the war that people forget that Churchill first came up with them (or at least was the first to popularize them). Their tone of utter defiance and determination have been lightly mocked ever since, but they saved his country. 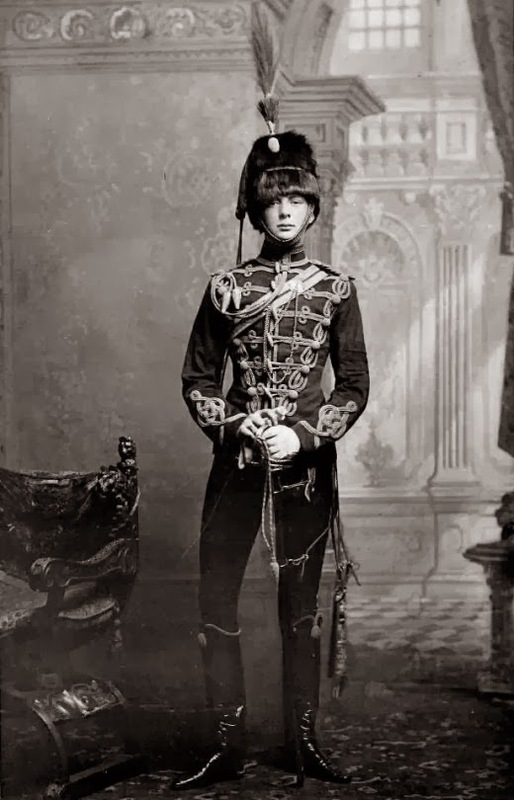 Churchill as he wanted to be seen. Listening to his speeches now is bracing, for their resignation, their tired determination, the iron will lying coiled beneath the barely disguised annoyance that England should once again have to establish something obvious for all to see that never should have to be demonstrated even once in a rational world. "[W]e shall fight in France, we shall fight on the seas and oceans, we shall fight with growing confidence and growing strength in the air, we shall defend our island, whatever the cost may be, we shall fight on the beaches, we shall fight on the landing grounds, we shall fight in the fields and in the streets, we shall fight in the hills; we shall never surrender." "Let us therefore brace ourselves to our duties, and so bear ourselves, that if the British Empire and its Commonwealth last for a thousand years, men will still say, 'This was their finest hour'." 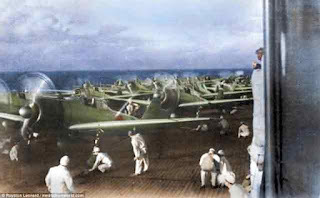 "Never in the field of human conflict was so much owed by so many to so few," about the Royal Air Force. Churchill's biggest worry wasn't the Luftwaffe, though. Instead, and contrary to what generally is believed, the biggest threat to Great Britain was the German Navy, the Kriegsmarine. 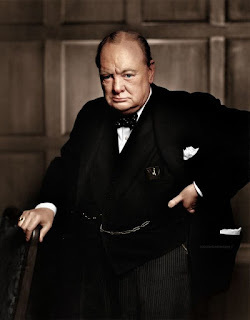 German U-Boats remained a thorn in Churchill's side well after other elements of the German threat had faded away, and he alone knew just how close Hitler came to starving the country into submission. It was a very close call. United States trade, assistance, and intervention made all the difference, or else Hitler likely would have won. 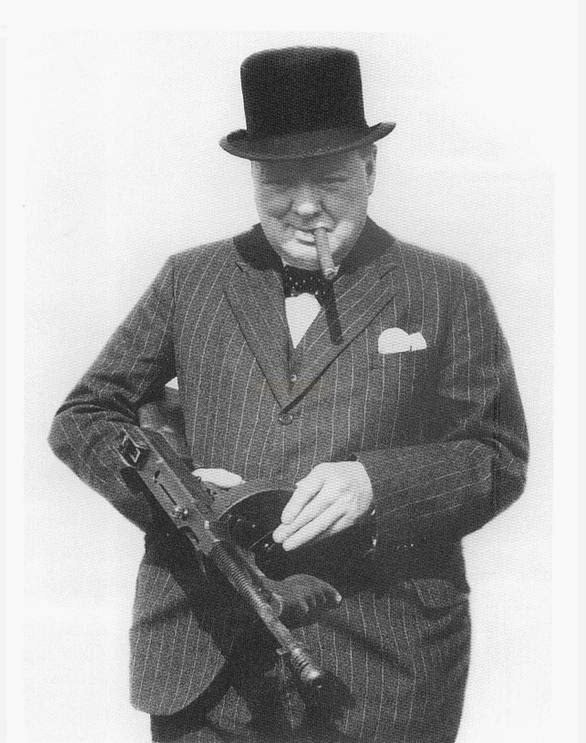 Churchill having an American mother was quite handy. 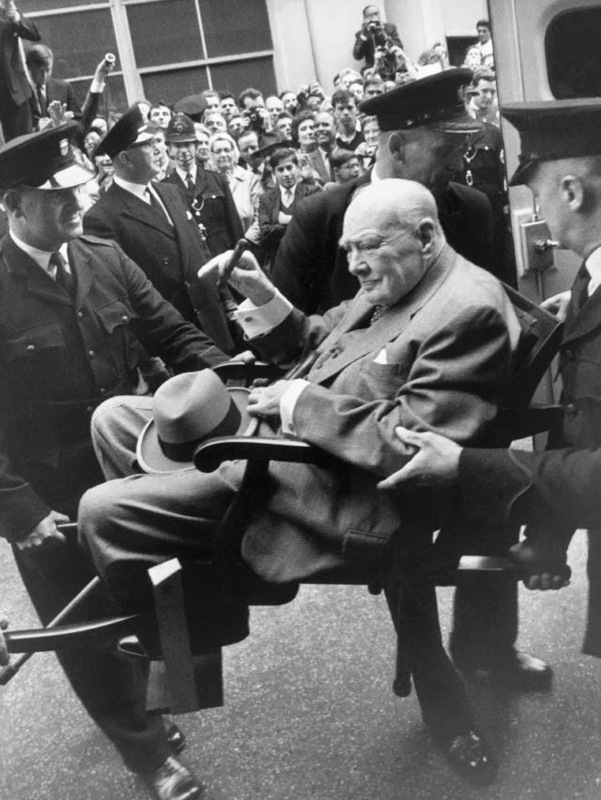 The war was duly won, and for his troubles, Churchill immediately was voted out of office. 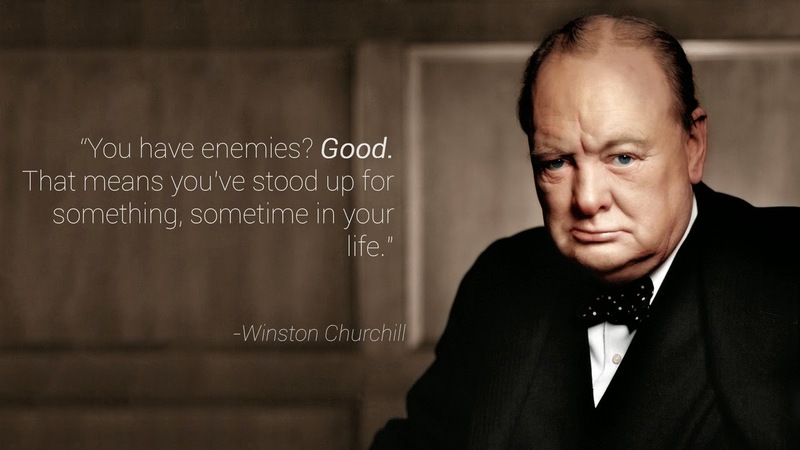 To be sure, Churchill had many detractors. He was a great motivator, but not nearly as good at strategy. His war policies caused immense hardship to the people, and by war's end, they had suffered enough. It is inarguable that he saved Great Britain with his inspirational speeches, but by 1945 the people had had quite enough of deprivation and turned to the Left. 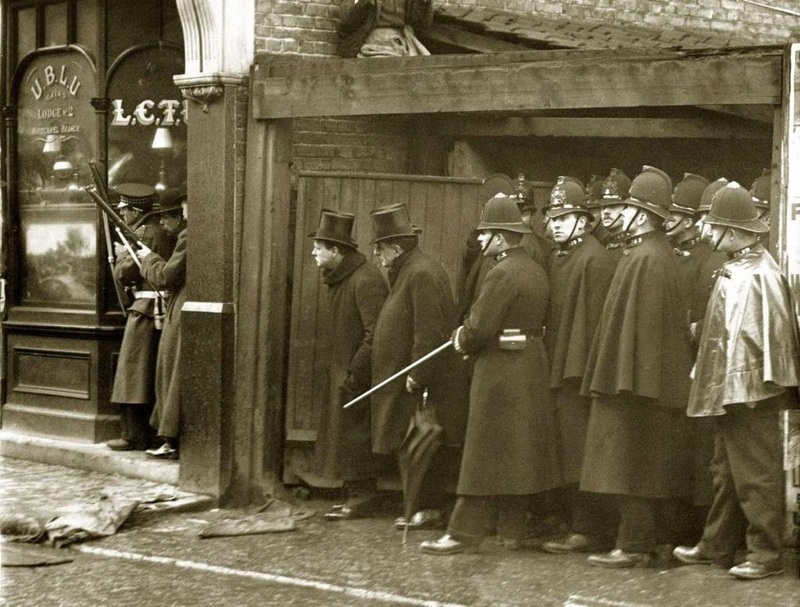 Winston during the seige of Sydney Street Police House, 1911. Attempting to bomb Britain into submission, the German Luftwaffe attacked the city of Ramsgate while Churchill was visiting in August 1940. Taking cover in an underground shelter, he exchanged his trademark civilian hat for a steel helmet. The city’s mayor forced him to discard his cigar in the shelter, eliciting the rueful response, ‘There goes another good one." Eventually, after six years, he was voted back in as Prime Minister, but it was a difficult time. Quite frankly, the Empire was dissolving, and there wasn't a thing that he or anyone else could do about it. As he said, "I will not preside over a dismemberment," but that is what was going on whether he wanted it or not. His health started going, and he finally retired in 1956. He lived out his years in peace, famous and revered around the world.